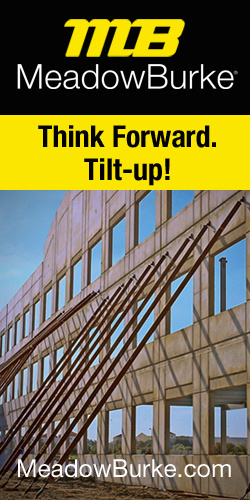 The Tilt-Up Supervisor certification program is now in its 11th year. There are currently nine hundred and fourteen technicians and two hundred and seventeen supervisors certified by ACI. The numbers are down between 10%-15% from their highs of a couple of years ago but they are expected to return as the economy strengthens. The program (via the Policy Statement) has undergone several modifications over the years including reallocation of the number of hours required in the various areas of knowledge to reflect the reality of work supervised by the Tilt-Up superintendent. The total number of hours has remained the same (2000) but areas such as safety, forming, and erection now require the most hours (400 each) while areas such as plan reading, slabs on ground and structural systems now only require 50 hours each. A ballot is currently underway that will give the ACI C-650 Committee, Tilt-Up Constructor Certification, its first major update in several years. The changes will allow an alternative for re-certifying in lieu of taking the then-current exam. Several committee members felt that re-certification by simply taking basically the same exam was a disservice to the program. Retaking the same exam doesn’t ensure that the candidate has continued to learn or grow as a professional in the Tilt-Up industry or that they are up-to-date on current practices. The current program also doesn’t confirm that the superintendent is still active in the field. The modifications proposed will require evidence of continuing education and work experience. Specifics of the alternative re-certification option could undergo modification during the balloting process but the essential requirements are outlined below. Candidates seeking re-certification under the alternative requirements will need to have 10 hours of approved continuing education since their last certification covering topics relevant to a supervisory position. 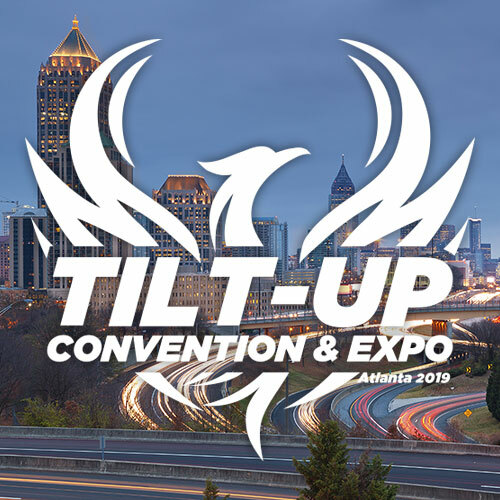 The classes that apply will be pre-approved by the TCA and the Committee from offerings at such venues as the World of Concrete and the TCA Annual Convention. Pre-approved courses will be listed on the TCA web site and, where possible, in programs and other promotional materials at the specific events. The candidates will also be required to provide verified work experience on a minimum of 3 Tilt-Up projects or on project with at least 100 Tilt-Up panels during the period. 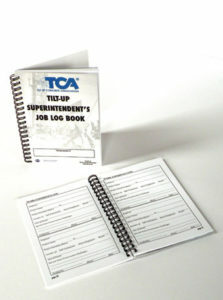 The TCA-developed “Tilt-Up Superintendent’s Job Log Book” provides an excellent format to record efforts toward compliance. It is a pocket-sized book with sections for recording seminars and work experience. It also has a description of the experience areas and other information relevant to the program and to the field superintendent. Taking and passing the then-current examination will continue to be an option until the alternative re-certification option has been functioning for sufficient time to uncover any shortcomings. The committee goal is for the alternative re-certification method to become the only means of re-certification for superintendents. Technicians will be able to recertify by complying with the continuing education requirements or by retaking the exam. The exam itself will be undergoing modifications over the next couple of years as the references are updated to the latest edition of the ACI-551 Guide and the new Tilt-Up Construction Manual (scheduled for release at the end of the year). Since all questions must be referenced, new and updated information means new questions and answers. This will also impact the Spanish version of the exam and reference materials. If you have interest in participating in the ACI C-650 committee make sure you contact Ed Sauter, secretary of the committee or Jimmie Ballard, the current committee chair.